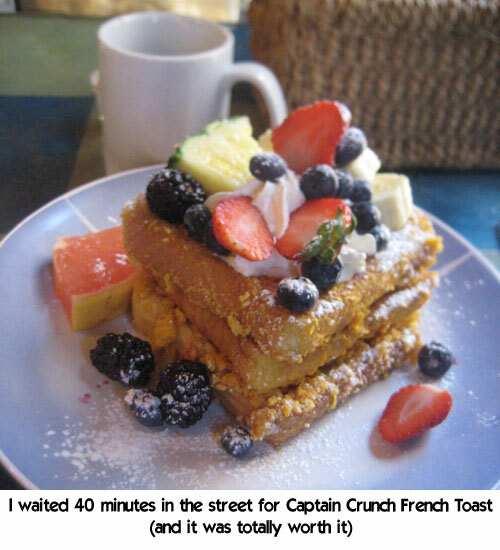 I woke up at four o’clock in the morning to catch my flight to Baltimore for FitBloggin’ 2010. Waking up at that hour does strange things to my body, making me simultaneously feel like I’m going to barf and that I can talk to angels dancing on the wings of the plane. Hopefully they’d remind me to pull my hair back before vomiting. 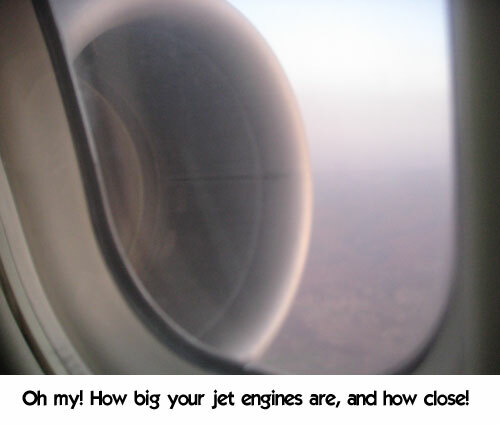 My odd mental state also made me very wary of sitting so close to the jet engines. My Paranoid Traveler’s Syndrome made me worry that the glass was going to break and I’d be sucked into the turbines like a bird with bad luck. 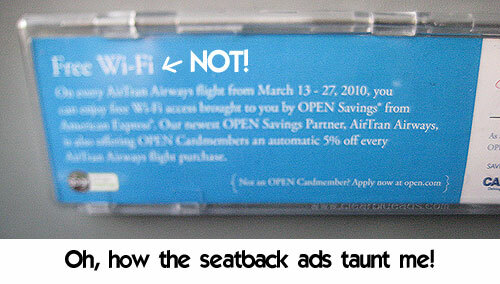 Thankfully, the plane remained in tact, but this also meant that I spent the flight being taunted by ads in the seat pocket advertising free wifi that was not working on my flight. When questioned, the stewardess just shrugged her shoulders, which is the universal gesture for, “I’m just a stewardess, not a cable repair man.” While I rather hate to use this cliched phrase, major FAIL, Airtran! When I arrived in Baltimore, I couldn’t stop singing a very old, obscure, Tori Amos song as I wondered around the concourse. 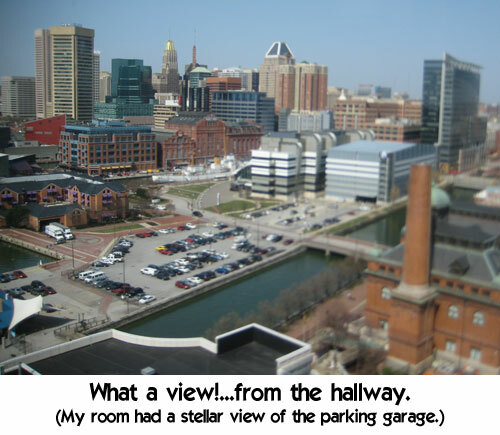 Eventually I did make it to my hotel, which was located in a prime spot near the happening inner harbor area. I cannot describe how beautiful the weather was. It was like gazing at the face of Helen of Troy, if her facial features consisted of sunshine, blue clouds, and a brisk breeze. There were lots of doggies and ducks (and some joggers too) traipsing around the harbor, all filled with the simple joy of a spring day. I arrived back in time to sit on the publishing panel, and forced myself to self-promote even though I felt like a total tool by name-dropping the magazines and TV shows I’ve been on. The members on the panel had a wide range of experience, and I thought it went rather well. A video of it should be online next month sometime. One correction though: I mentioned that I was in Self magazine, but I really meant to say Women’s Health. Sorry! I don’t want anyone thinking I’m a compulsive liar. Frankly, all those media promotions are a blur. That night, I went out to dinner with my roommates, Amy and Rebecca. We tried going to a seafood place, but the wait was 90 minutes. 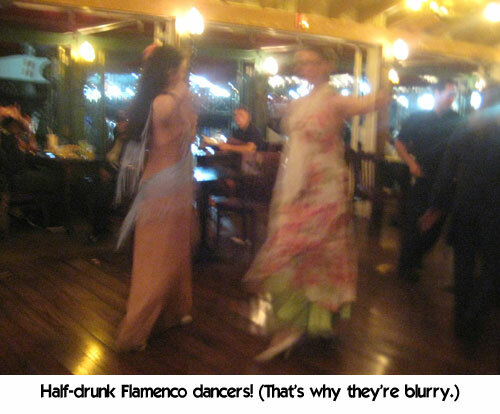 So we ended up at a tapas restaurant and sat at the bar with some Flamenco dancers between sets. Then it was back home to Indianapolis, where I napped and got bedlag to go with my jetlag. Big props to Roni for organizing this great event. 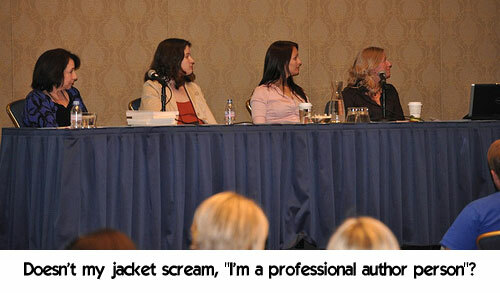 People were already talking about FitBloggin’ 2011, but I’m going to need more nap time before I can commit to that. For the past two Januaries, I’ve written out a list of 3-5 goals I want to accomplish in the upcoming year. I’ve also reflected on last year’s goals to see if I did what I wanted to do. I like to at least attempt to have forward momentum in my life, and having my list of goals above my desk helps with that. I first went to the headache clinic in January of 2009. Within a few months, we were managing my headache much better, though not ridding me of it completely. We’re still tweaking meds, but overall this goal was pretty much met. I chucked my job in July of 2009 and haven’t looked back. I don’t know how I ever coped with working in an office in the first place. I still don’t have a long-term health insurance solution, but I’ll deal with that at the end of 2010. Another goal accomplished! I’m going to give myself a C+ on this one. I continued to gain weight at the beginning of the year, but I’ve been maintaining for the past several months. I could do better, but managing the headache comes before weight loss, even in this list. Also, I did absolutely nothing to work on this goal, so major FAIL on my part. 2) Lose at least 20 pounds by July. 3) Travel to at least 3 new places. 5) Another secret goal, in case I hadn’t driven you mad already. I’ve printed my goals and taped them to my desk. Now I just have to achieve them! 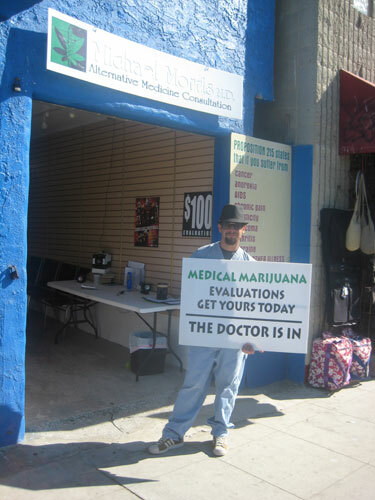 I limped walked down the boardwalk at Venice Beach, California and passed not one, but two medical marijuana consultation offices. 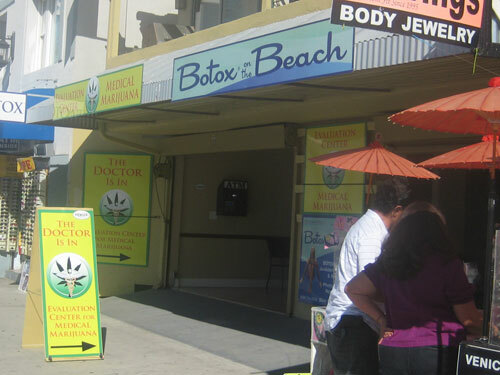 The second one was next to the Botox on the Beach studio. Tell me, would you get Botox on the beach? How about Botox in the sterile, environmentally controlled doctor’s office? What wonders lie beyond the snack bar at the Nutrilite blogger event? Find out behind the jump (where there are no ads as mandated by my ad network agreement). I am back home again in Indiana, but I’m still recovering from my “vacation.” I didn’t check my email for over 24 hours and now I am buried beneath electronic messages. To tide you over while I dig my way out, here are two pics from LA. 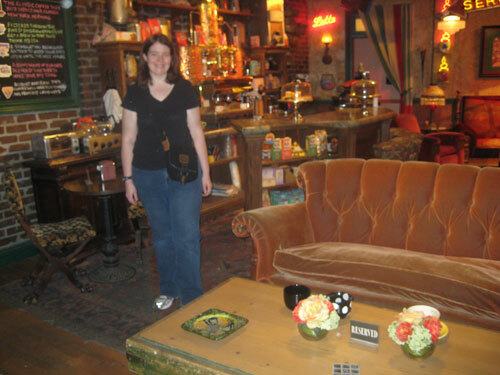 I visited the Central Perk set from “Friends” on the WB Studio Tour. The service was really slow though. I’m still waiting for my latte. 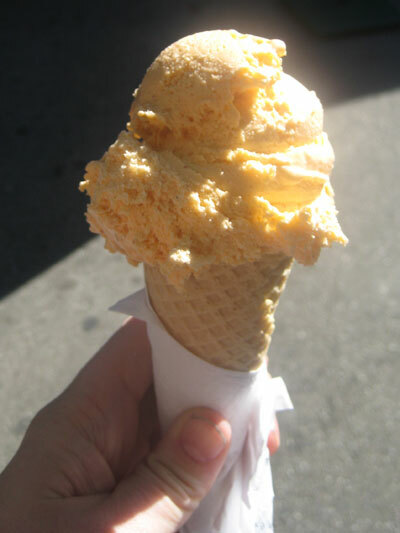 I sampled the pumpkin ice cream at the Farmer’s Market and, DAMN, I wish this flavor was sold in stores. It was dee-lish! Can Carolyn lose 100 lbs. in a year? 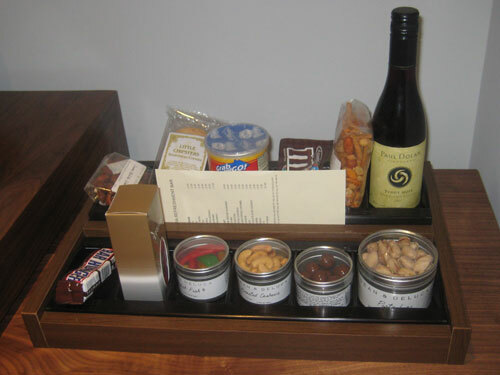 Find out at 1940sExperiment.com, where one woman is living one year on wartime rations to lose 100 lbs. Update 11-19-09: Okay, y’all, I have been informed over and over again that pumpkin ice cream is available in stores, and even if it wasn’t, you can make it yourself. Thank you for sharing.